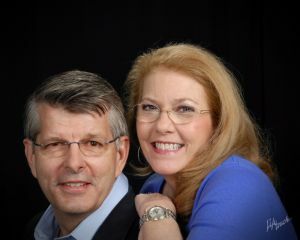 Jim and Sharon Plummer are the owners of U-FIX-IT Appliance Parts. Jim is an ex-Air Force pilot and a business school graduate of University of Texas at Austin. He has been in the appliance parts business since 1975. Jim’s time away from work provides time for reading, computers, fixing things around the house, and teaching Sunday school. Sharon started an insurance brokerage in 1992. 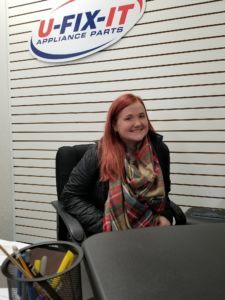 She continues as a part time insurance broker in addition to her full time duties at U-FIX-IT Appliance Parts. In her spare time, Sharon loves her German Shepard dog, playing the guitar, growing flowers, and is social chair at Sunday school. Jim and Sharon are Christian believers who are unabashed in their love for God and their love for each other. Broken appliances are not happy news when they happen. Jim and Sharon want your appliance repair experience to be as pleasant and stress-free as possible. Eric was born and raised in Dallas. Attended Dallas Carter High and graduated from the University of Houston in 1991. 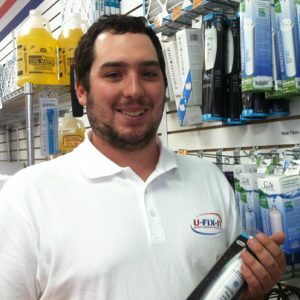 Eric, has been working at U-FIX-IT since 2002 and has been the store manager since April 2006. Eric enjoys working with people and helping to resolve problems. Eric enjoy sports and is a longtime fan of the Dallas Mavericks and the Dallas Cowboys. Eriberto was raised in Dallas and attended South Oak Cliff High School. 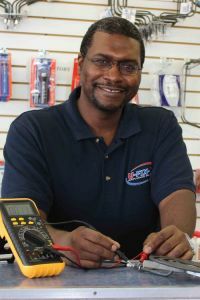 He enjoys making peoples lives easier by helping solve their appliance repair problems. His greatest love is to spending time with his wife and daughter having fun as a family. Eriberto enjoys working out, most sports and all kinds of music. Chris comes to U-FIX-IT with a wealth “Do-IT-Yourself” experience. 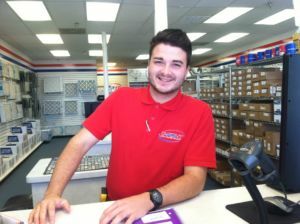 Chris finds satisfaction in helping customers solve their appliance problems. “It’s really about helping people and providing knowledge, empowering them to solve their own problems”. Chris spent years restoring his 100 year old home in Plano. 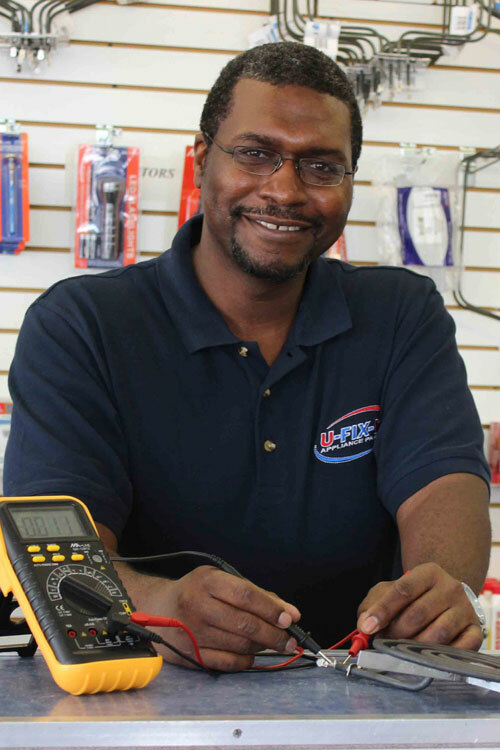 He is the neighborhood’s “go to” person for all kinds of repair questions. While growing up in Houston, he played in a local band. These days he relaxes by playing guitar and ukulele and traveling in his RV. Chris is a proud grandfather of three, and an avid Dallas Cowboys and Texas Ranger fan. Edgar was born and raised in Dallas. He attended David W Carter and is currently attending college. He enjoys helping people find a solution to their problems in a efficient manner. He is currently studying for a software development degree and networking certificates. His hobbies include working with software development kits, computers, and collecting retro video games such as NES, SNES, Genesis & Atari. Ryan was born and raised in Rowlett, TX and is currently working toward his bachelor’s degree in accounting at the University of Texas at Tyler. He has played soccer since the age of 4 and plays whenever he can. His favorite pastimes include fishing. spending time with family and listening to country music. Joshua was born and raised in South Arkansas. After graduating from Strong High School in 2016, He moved to Fort Worth to attend Tarrant County College in Hurst. Joshua is working toward a communications degree with plans to be a sportscaster and/or a movie actor. His hobbies include basketball and watching sports as much as possible. Joshua is passionate about helping customers find the solution they need. Nathan was raised in Springfield, MO. moved to Jackson, Mississippi to attend Belhaven University where he acquired a bachelor’s degree in biblical studies. He then moved to Texas for a change and greater opportunity. Once his student loans are paid, he will be returning seminary to acquire a ma/dr. in new testament theology and linguistics to become a teacher within a local university or seminary. He is a big fan of teenage mutant ninja turtles, anime, dinosaurs, and being outdoors with friends. Todd was born and raised in Houston. He graduated from Stephen F. Austin State University in 2016 with a degree in kinesiology. He enjoys watching the Astros, reading, hunting, fishing, learning, and experiencing what’s new as often as possible. Todd is looking forward making appliance repair faster and easier for his customers. Angel was born and raised in Dallas, Texas. He attended and graduated from W.H. Adamson High School and Everest College Electrical Tech program. His pride and joy is his beautiful daughter. His favorite past times is spending time with his daughter and gaming. He is an up and coming amateur Fortnite player with over 100 wins. If you ain’t got no sauce you lost. Luis was born and raised in Ponce, Puerto Rico, he attended Carmen Belén Veiga high school in the town of Juana Diaz where he graduated in 2011. He then went to college where he was granted a binary bachelors degree in business administration with majors in international business and logistics. In his free time Luis likes to read and play tennis, he is a avid pet lover and enjoys helping people. Skylar was born and raised in Arlington, Texas. She wholeheartedly backs the Blue, is married to a police officer and they have a baby boy. She is currently working on finishing her degree in business management. She enjoys reading, cleaning, ang going to Texas Rangers games with her family.